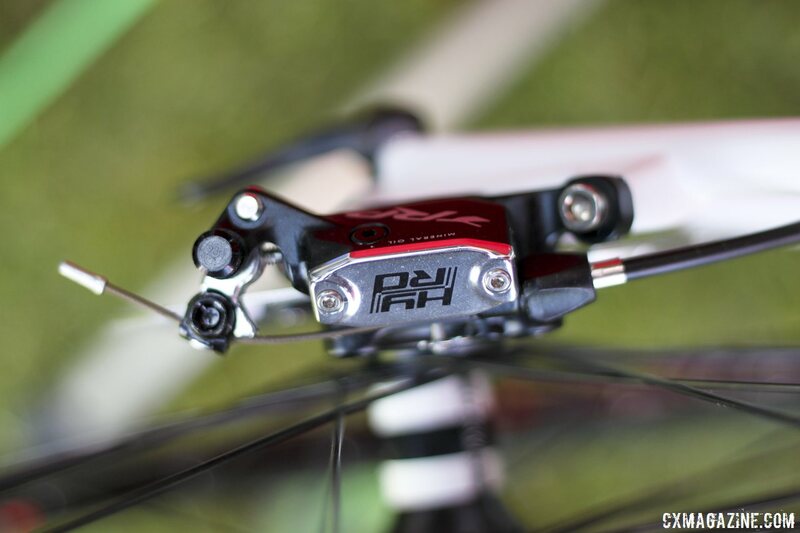 Yet Fezzari Performance Bicycles has two Zs in its name instead of two Rs, and maintains the similarity is just coincidence. 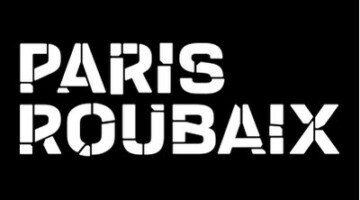 In fact, Fezzari’s President’s and owner Chris Washburn told Cyclocross Magazine, “When the brand was originally done, my 11-year-old son just came up with the name, and the URL was available, and we just went with it.” Perhaps his son had Ferrari on his mind? But we still think hope we can be forgiven for finding the red Fezzari logo to look a bit like the Scuderia Ferrari racing team logo. 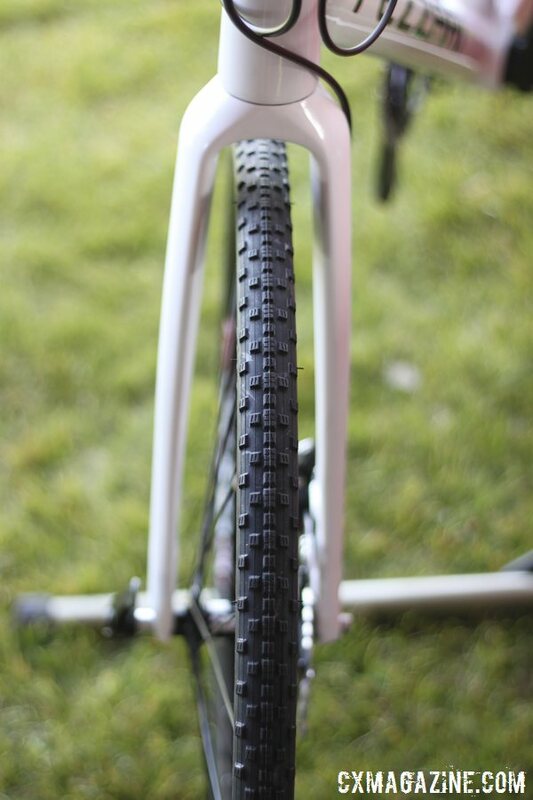 Naming details aside, the Utah-based company has been selling aluminum and carbon bicycles direct to customers for eight years, and despite originally wanting to work with dealers and do custom fittings through local shops, it ended up settling on a customer-direct model because the opportunity was there and it was already working well for them. But don’t confuse the company with other direct-to-consumer brands, as Fezzari doesn’t think they’re its competition, but instead sees the big companies like Trek and Specialized as its main competitors. “We’re a boutique brand,” Washburn says, “not like some other customer-direct companies that cut corners.” Evidence of this difference? “We put a hand-written note inside every box, telling customers how much we’ve enjoyed building their bike.” The company also prides itself on a 23-point fitting process that aims to give you a bike tailored to your body and riding style, based on measurements you can do yourself in your living room. 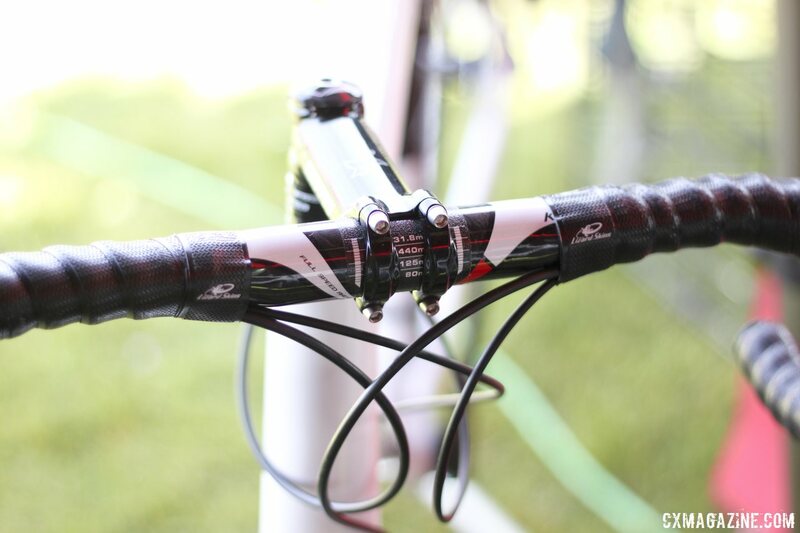 Now Fezzari wants to go cyclocrosser-direct with its new cyclocross bike that it’s putting the finishing touches on. 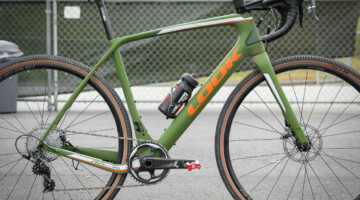 The company was showing off its yet-to-be-named carbon cyclocross prototype at Sea Otter 2014, and we grabbed a look at the upcoming bike. 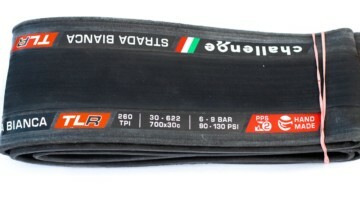 The carbon frame eschews the typical monocoque construction technique in favor of tube-to-tube construction, and the company maintains the frame is lighter than most monocoque frames. “This frameset, by the way, you’re gonna be blown away by the weight of it,” Washburn said. “It’s surprisingly light, it’s a new tube-to-tube process.” When asked if it was under 1000 grams, he confirmed, but didn’t have an official weight yet. Fezzari customers can purchase cyclocross bikes either with recommended builds, or by choosing every part. “We’ll do some recommended builds…but if a person called in, and said this is exactly what we want, we’ll do it,” Washburn said. 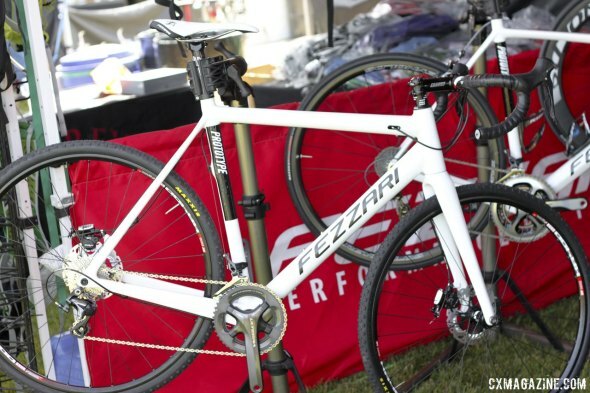 The Fezzari show model featured Ultegra 6800 components, TRP HY/RD disc brake calipers, DT XR400 disc brake wheels, Maxxis Raze tires, and an FSA K-Force handlebar and SL-K seat post with a Fezzari stem. 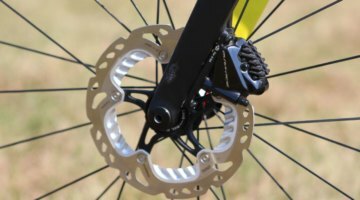 This build will likely be their higher-end build, and they’ll also aim to have a budget-friendly build (think SRAM Apex or Shimano 105). Price? Name? 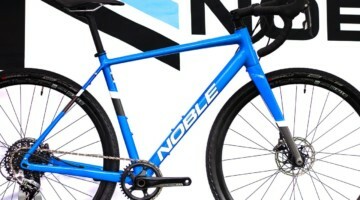 Neither were finalized, but the company hopes both to be finalized shortly, and expects the bikes to be available by June. “We’re one of the best kept secrets out there, we sell a ton of bikes,” Washburn says. 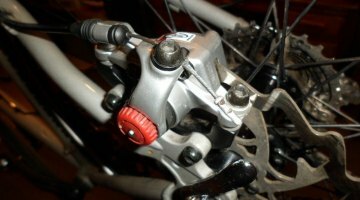 The company says half their business now is repeat customers coming back for another bike. If that continues the be the case, perhaps by launching a cyclocross bike, loyal Fezzari customers will be reaching for their credit card to add another Fezzari to the quiver. 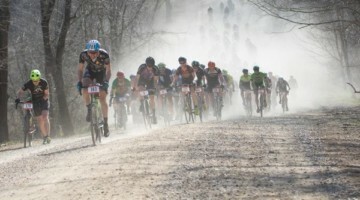 If that helps more people discover the sport of cyclocross, we consider it a good move. 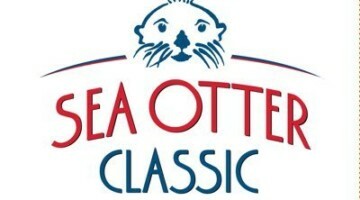 Check out all of the latest cyclocross bikes, wheels, tires and other tech goodies from Sea Otter 2014, and keep checking back as we have plenty of new product highlights coming. Andrew Yee is the founder of Cyclocross Magazine, and has been hooked on 'cross since his first race in 1991. When he's not writing about the sport, he's a cyclocross fan and racer, husband and dad. He compiled a bunch of student loans getting degrees in mechanical engineering, environmental studies and business and has lived and raced most forms of bikes in PA, HI, MA and CA.